Many fans would love to follow in the footsteps of The Beatles, Pink Floyd, Adele, Edward Elgar, George Lucas and Lady Ga Ga, through the doors of the building that lent its name to the Beatles’ eleventh album. 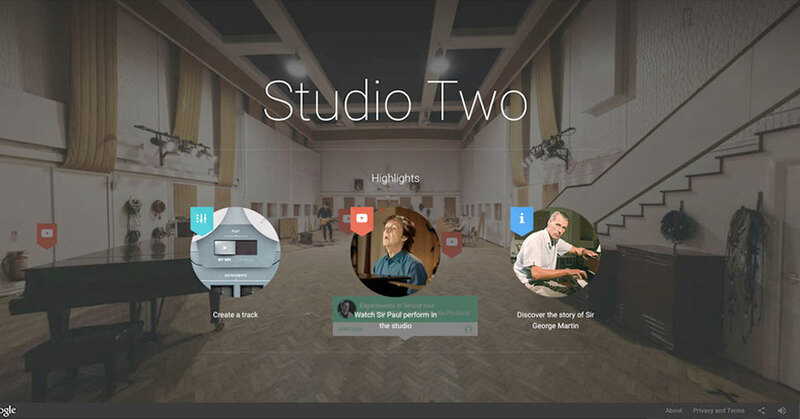 Google and Abbey Road Studios wanted to create an interactive virtual walkthrough of the building that charted its history and emphasised ongoing activity. The building has a rich history that includes many fascinating landmarks, including the world’s first live global broadcast and the invention of stereo. 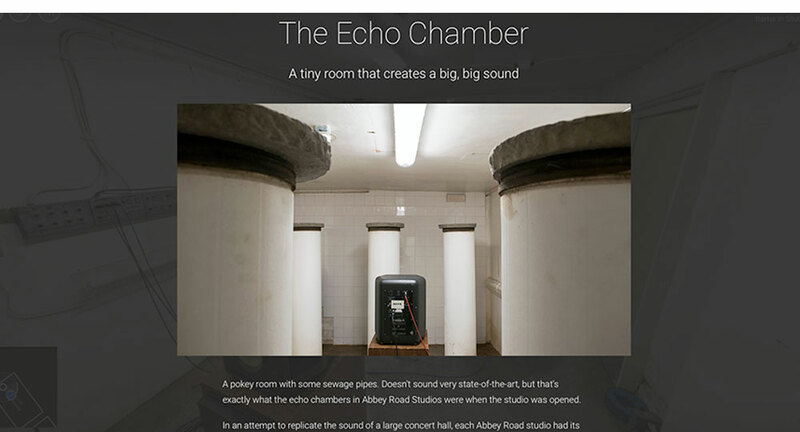 The challenge was to break down nearly 100 years of sound recording heritage and innovation, to create an informative and entertaining experience. Working as a consultant with the creative team at Google, and its agency Stink Digital, I helped determine who the likely virtual visitors would be and how best to provide dynamic routes through the building, its history and contemporary features. I identified ways in which the content could be broken down into individual themed tours, the elements included within each tour, and how best to bring them to life. Once the subject matter was agreed, I then researched the required elements and created the editorial. 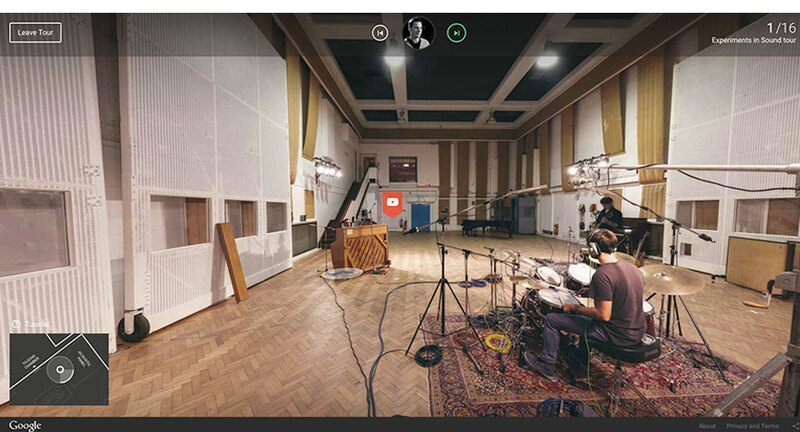 Inside Abbey Road enables fans to take an immersive and detailed virtual online tour of the legendary studios, which incorporates everything from Elgar’s performance at the opening ceremony to Jay Z discussing his Magna Carta album. 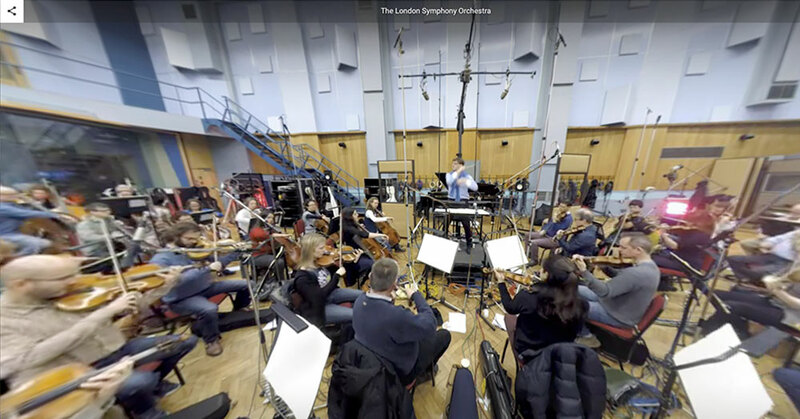 Powered by Google’s Street View technology, the tour involves more than 150 different 360-degree panoramic images, an array of videos of stars performing that are placed in the exact spot they were filmed from, animations and voice-overs. Users can even try out pioneering recording equipment involved in landmark recordings, including the J37 4-track recorder The Beatles used during the Sgt. Pepper’s Lonely Hearts Club Band sessions.